Looking for Pilates reformer workouts you can do from home? Deepen your practice from the comfort of your own home with The Pilates Reformer Series: classic. GET STARTED WITH THE PILATES REFORMER SERIES: CLASSIC! These full body routines are downloadable and yours to keep forever. Modifications are provided so they are suitable for all levels. Intro To Reformer: a short video tutorial designed to help you with your reformer set up to get the most out of your workouts. Classic Reformer (30 minutes): This routine will guide you through classic reformer exercises to build strength, increase flexibility, and restore balance to your body. This is a full body workout that moves at a deliberate, easy-to-follow pace. Fitness Flow (30 minutes): This fitness-inspired routine will challenge your strength, stamina, and endurance. This is a full-body workout with variations that will challenge you in new and effective ways. Stretching, Strength & Balance (30 minutes): This full-body Pilates reformer routine will leave you feeling energized and refreshed. The workout includes a perfect balance of stretching, strength-building, and exercises to improve your balance. Get EXCITED about your workouts again! Do you have to have a reformer at home to do these workouts? Yes, these workouts are designed for those who have access to a Pilates reformer at home or in a studio. I have very little experience on the reformer. Will these workouts be good for me? I have been teaching reformer classes for 8 years and in almost every single class the students range from beginner to advanced. Therefore, I teach my classes in a way that makes them suitable for all levels. I cue you through each exercise and teach you what you should be feeling and how you can find the best position for your body. So as a beginner, I think you will absolutely love these workouts and the way they help you progress. That being said, if you have never taken a reformer class in-person, I do recommend that you gain experience at a local studio prior to utilizing these workouts. Is this a program with a schedule or just a bundle of workouts? 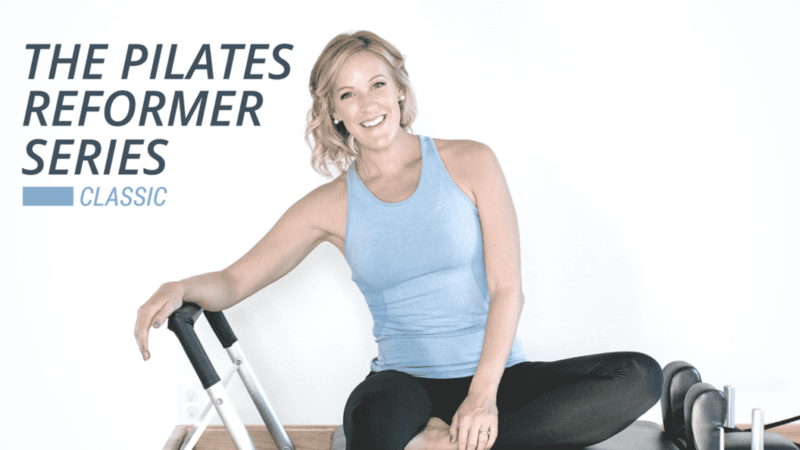 The Pilates Reformer Series includes an introductory video + three 30-minute workout videos that you can use in any way you’d like! Once you purchase the series, they are yours to keep forever. You can download them to your computer and come back to them again and again. 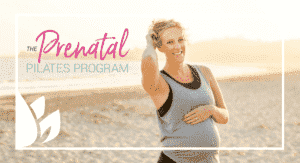 The program does not include a calendar, personal coaching or meal plan – it’s simply a bundle of high-quality workouts that you can use in whatever way that works best for you! Why would I buy this program instead of taking classes at my local studio? I recommend continuing your in-person classes alongside your home practice. These workouts are a perfect way to supplement your in-person reformer classes so that you can build strength faster, see quicker results and save money. If I'm already following the Sisterhood workout calendar, how do these fit in? Great question! I recommend using these workouts in place of any of the full-length Pilates workouts on the calendar. When you’re in the mood for reformer instead of mat – simply use one of these and you’ll be good to go! I'm hesitating because of the cost. Any advice? ONE in-person reformer session with me costs $110.00 per hour. If you want to do Reformer workouts 3x per week that adds up to $1,230.00 per month!! Online workouts are a fantastic and economical way to accelerate your results and get in shape from the comfort of your own home. This entire bundle of workouts is just $67.00 – a total steal. Access to a Pilates reformer is required for these workouts. We’ll also utilize a box and standing board.